Big Hairy Goal does not require you to connect notes, you can easily just add them to the board, move them, group them and later connect them in any sequence that leads towards your goal. Big Hairy Goal is also about to pin ideas down fast. It's loaded with interaction minimizing gestures and shortcuts to support your flow of creativity. If you are a researcher or programmer, you may often need a picture on what is going on, how things stand to each other or things flow and interact. That's normally done using drawing apps and visualized with flowcharts, UML or organizational diagrams. But many of them are cumbersome to use and stand in your way to achieve the most important goal of the task: that you get the idea of what a system is about and to achieve the insight over a hidden cause or solution. 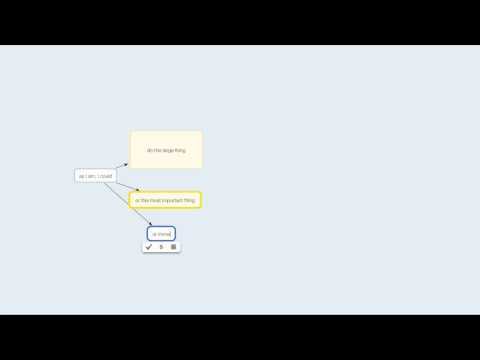 And therefore don't bother with complex drawing tools but use BigHairyGoal to create a rough sketch on what's going on. Big Hairy Goal supports three different types of cards: text, image and url. Drag resources from any location like Finder and Safari or paste a screenshot into your workspace. Create mood boards, inspiration boards or lightboxes on the fly. Move lesser attractive candidates aside and create groups. Zoom into images by selecting any and pressing the space key, just like what you are accustomed to in Finder. BigHairyGoal was added by beme in Nov 2013 and the latest update was made in Jun 2018. The list of alternatives was updated Mar 2019 There is a history of all activites on BigHairyGoal in our Activity Log. It's possible to update the information on BigHairyGoal or report it as discontinued, duplicated or spam. Alternatives to BigHairyGoal for Windows, Mac, Web, iPhone, Linux and more. Filter by license to discover only free or Open Source alternatives. This list contains a total of 25+ apps similar to BigHairyGoal. 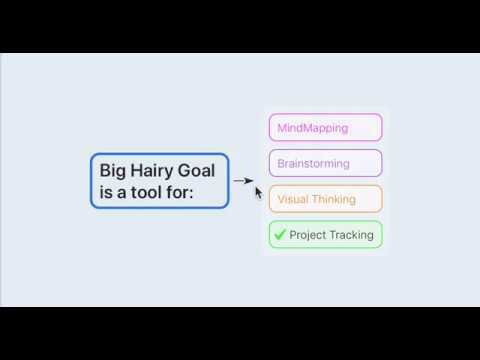 No reviews yet for BigHairyGoal, want to be first? Maybe you want to be the first to submit a comment about BigHairyGoal? Just click the button up to your right!